You’ve spent hours scanning pet store shelves and searching online until finally you found it – the perfect bed for you dog. It is soft and snuggly, yet tough enough to be able to withstand rough dog claws. It is the right size and shape for your pet and it matches your décor perfectly. 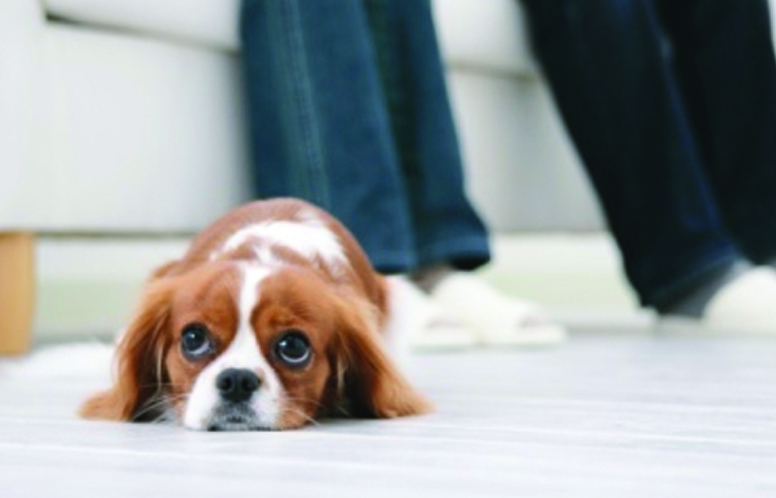 The problem – you dog doesn’t want to sleep in it! Instead, they pine for their old, dirty, chewed bed, and when you take it off them they curl up on the hardwood floor of your bedroom rather than their luxurious new pillow. The issue stems from the dog’s nature as a territorial animal. Have you ever noticed your dog circling for about a minute on their bed before they decide to lay down? Dogs do this to spread their scent and send the clear message to other dogs ‘This bed is mine!” When a new bed is introduced, a dog may be suspicious and hope their old bed, or ‘territory’ will return soon. They may also retreat into areas that smell strongly of their ‘pack’, such as the room you sleep. Whilst you can’t make the new dog bed look exactly the same as the old, you can make it smell familiar. A popular solution is to place old clothes you have worn onto the bed to encourage your dog to identify it with you and safety. 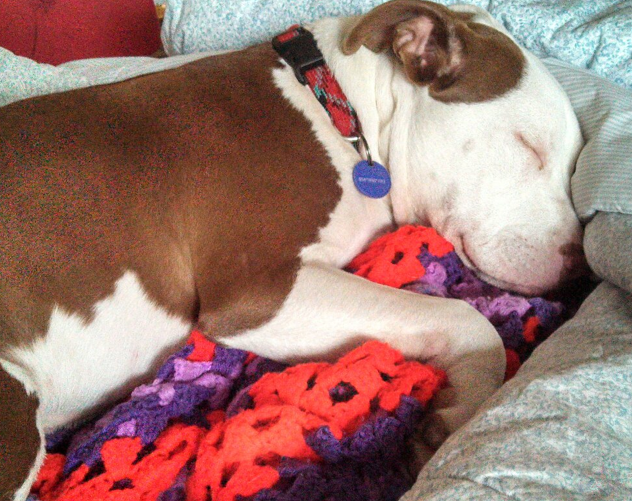 Blankets and toys that smell of your dog can also convince your dog the bed is not quite so foreign after all. Another clever idea is to place a sheet over the old bed. 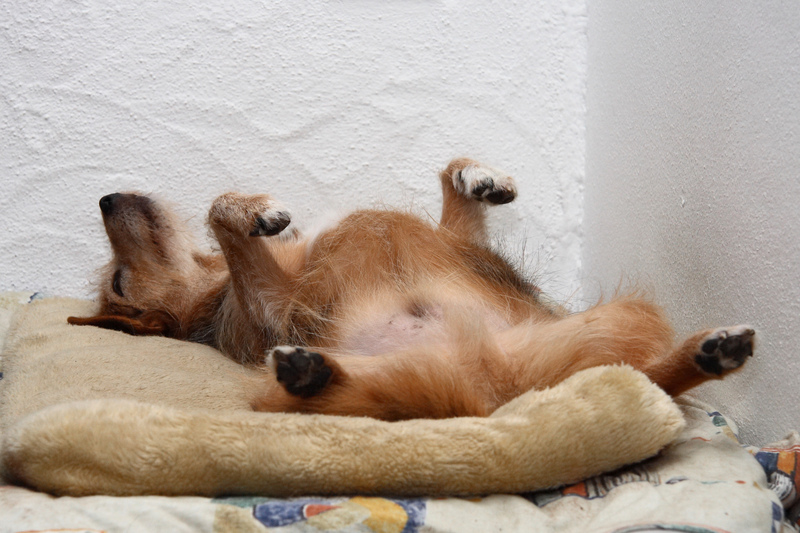 Allow you dog to sleep on it as normal, allowing the smell of the bed and your dog to seep into the fibres. After a time, bring out the new bed and put away the old. Place the same sheet over the new bed, disguising it in terms of smell and appearance from your pup. Gradually fold back the sheet more and more until it covers only a fraction of the new bed – then take it away entirely. Voila! Your dog will be sound asleep on their new mattress in no time. I read somewhere that you throw a treat onto the dog bed and when your dog gets the treat you say a command word (bed, place, spot, etc.). Then wait until the dog walks away and do it again 7-10 times in a row repeating the command word. You can also try telling your dog to lay down in the bed and giving them a treat when they do and praise them. Another thing to try is limiting any other options other than their bed by putting up barriers to force them to use the next best thing which is their bed. You can also try putting the bed near the TV so the dog can see you when you’re watching tv or wherever you’re hanging out because if the bed is in a separate room they feel separated from the “pack”. Not sure if you’ve tried any of these yet but hope it helps! I'm so grateful to you!I've tried everything for hours,from treats to discipline to begging to sitting with her on the pillow,nothing worked!Until I put an old t-shirt of my husband on it and she curled up straight away!A miracle! 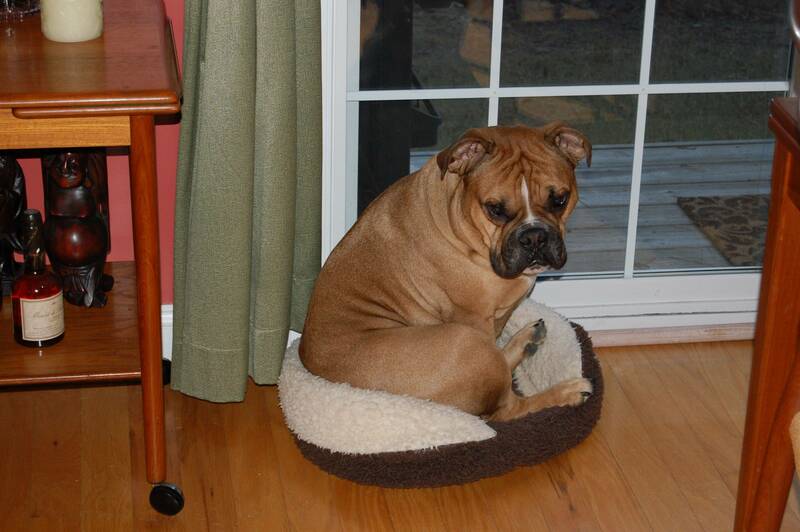 He never liked beds. We bought a top of the line - still doesn't want it. We bought it because of age etc. He just won't take it. He scratches and scratches the carpet.